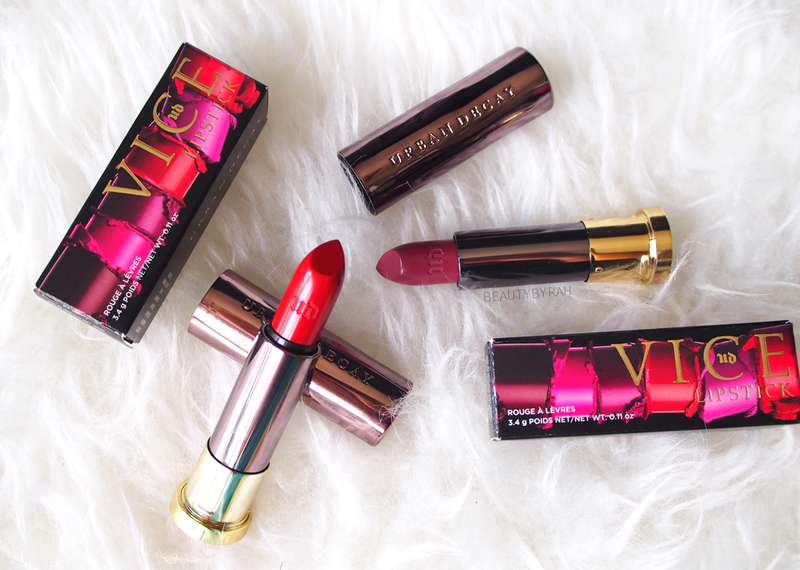 Recently, Urban Decay launched 100 new shades (in 4 different finishes) for their Vice Lipstick Range. Yes 100. All the choices. 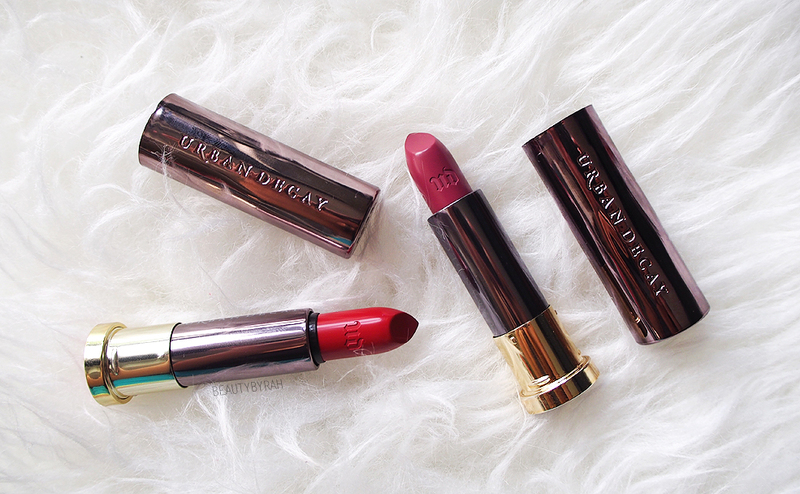 I am always a fan of Urban Decay's lipsticks as they generally glide onto the lips really smoothly and they do not dehydrate my lips. Their pigmentation is also out of this world (like many other Urban Decay products). I tried really hard to resist, but you know I couldn't so with immense amount of self control, I got myself 2. For now. 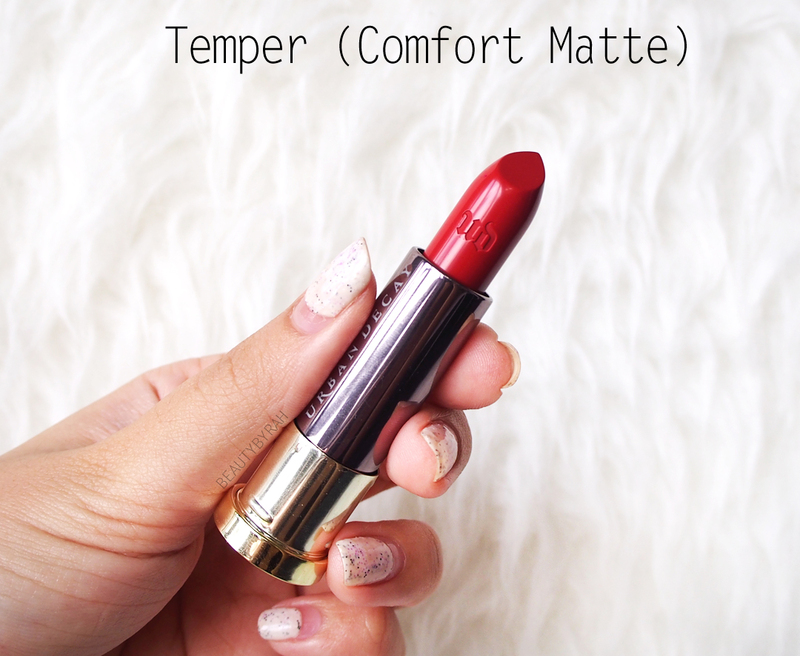 Temper is a warm orangy with a tinge of brown. I don't think I have anything like this in my collection so y'know that went straight into my basket. 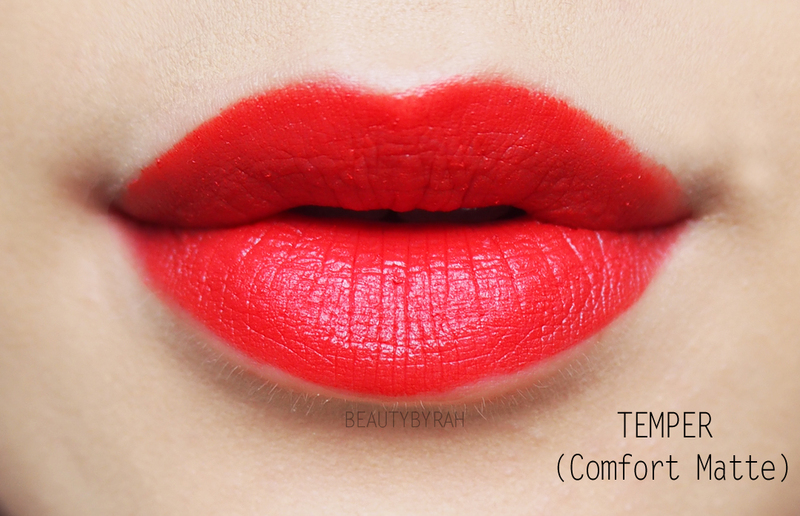 This is a comfort matte finish and glides on so so nicely, despite it being a matte lipstick. 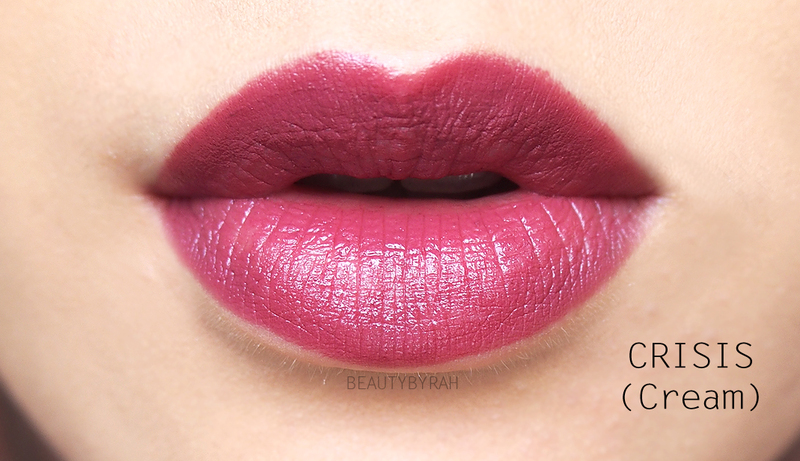 I would not say that it is an extremely matte finish, but rather one with a slight satin touch to it. It was really comfortable to wear and the colour lasted impressively well, even after my messy dinner. 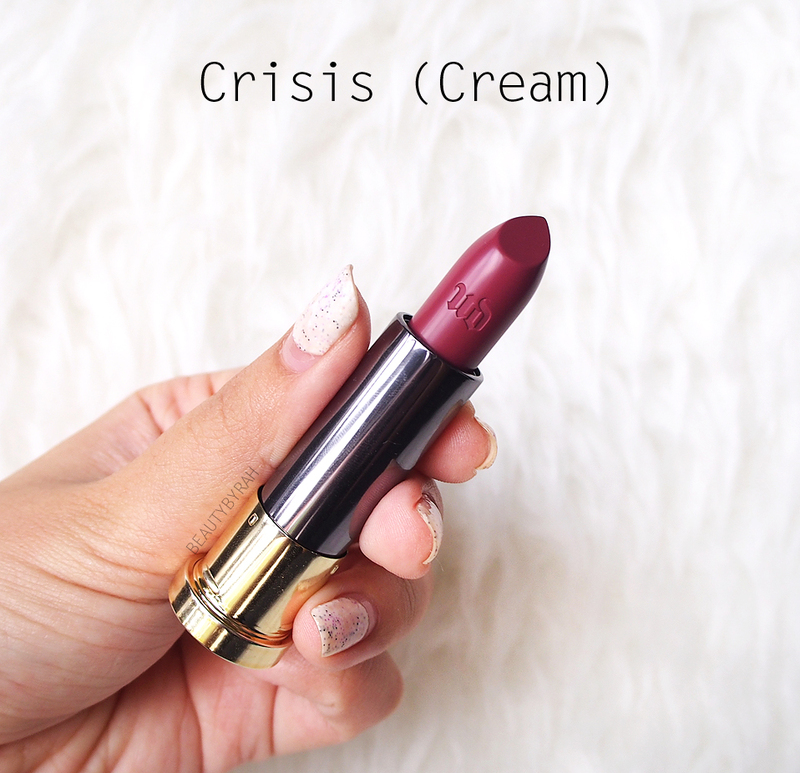 Crisis is a gorgeous plum shade that really does make the lips look fuller due to the slight glossy finish that comes with a cream lipstick. 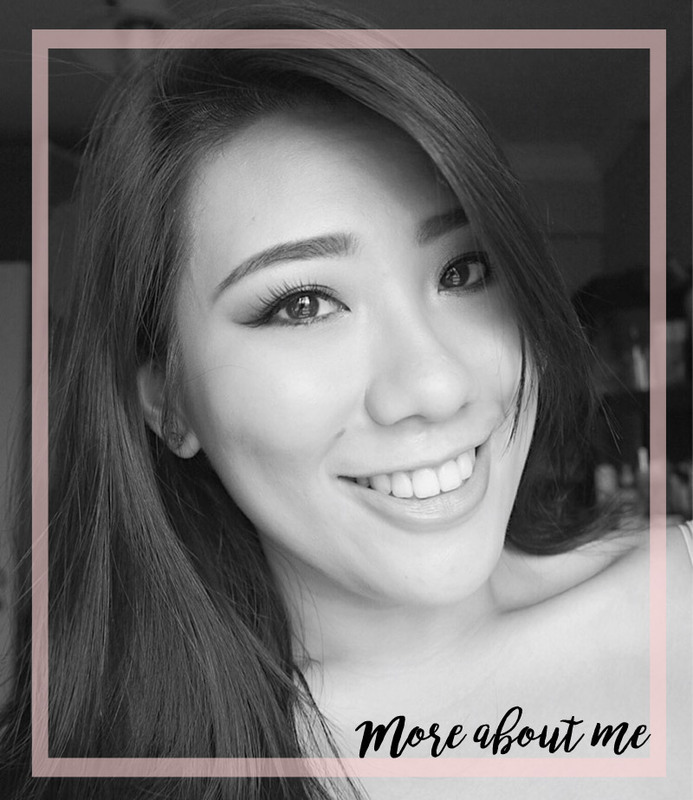 This is super comfortable and moisturising as well and the shade, in my opinion, can be worn with most makeup looks as it is not too dramatic nor neutral. These cost SGD 29 / USD 17 per bullet (so it is pretty affordable!). 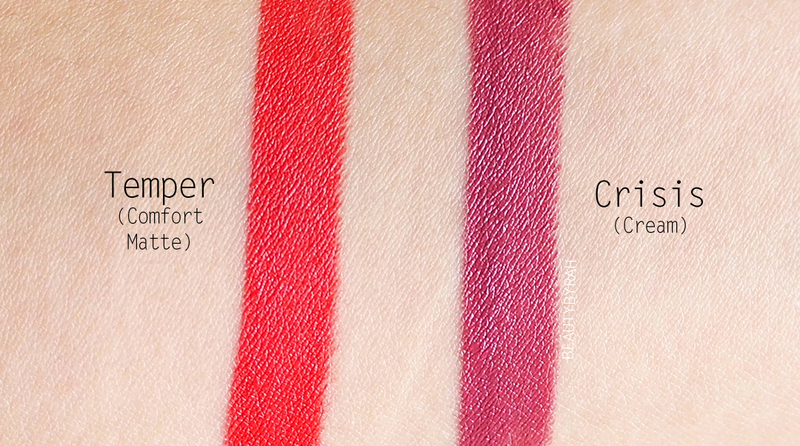 The quality is superb and the shade range is immensely wide. I highly do recommend you picking up a few! I got mine from Sephora Singapore. The outlet at Ion Orchard was out of these 2 shades, but I stumbled upon these in the Ngee Ann City outlet so I had to grab em' before they run out too! 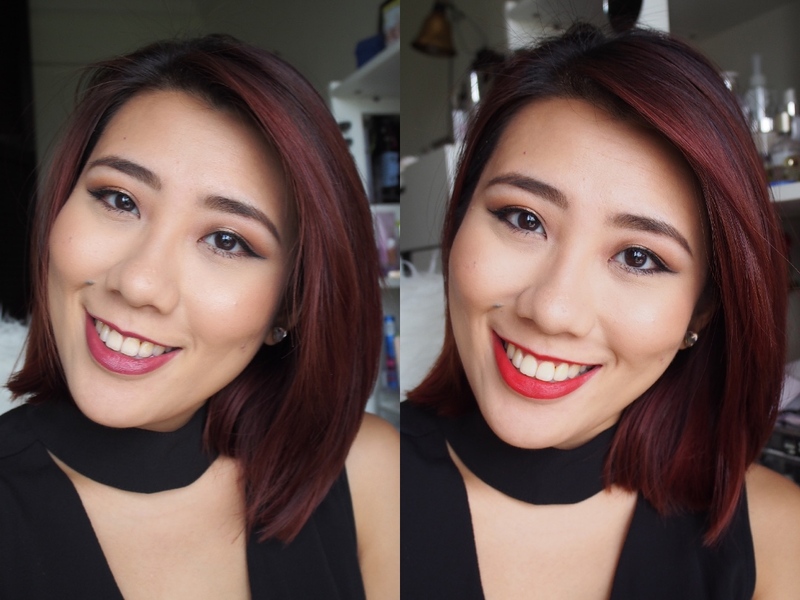 Same eye look and makeup, but look at the difference a lipstick shade can make!